Nanocomposites containing antimicrobial agents and calcium phosphates have been developed. 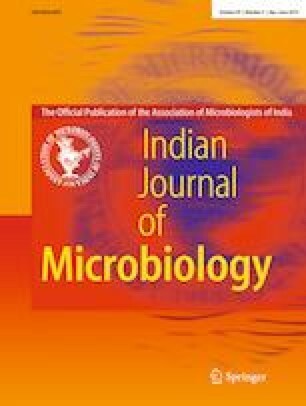 Thus, this study assessed the effects of two compounds containing silver nanoparticles (AgNPs) and β-calcium glycerophosphate (CaGP), associated or not with tyrosol (TYR), against planktonic cells and biofilms of Candida albicans and Streptococcus mutans. The nanocompounds were synthesized through chemical and ‘green’ processes and characterized by scanning electron microscopy. The minimum and fractional inhibitory concentrations of each compound were determined for planktonic cells. Next, 24-h single biofilms of C. albicans and S. mutans were treated for 24 h with the nanocompounds alone or in combination with TYR, and the antibiofilm effect was assessed through enumeration of colony forming units. Biofilm data were statistically examined using one-way ANOVA and the Kruskal–Wallis test (α = 0.05). The chemically synthesized nanocompound in combination with TYR demonstrated a synergistic effect against planktonic cells of C. albicans and S. mutans. For the nanocompound obtained through the ‘green’ route associated with TYR, a synergistic effect was observed only against C. albicans. For biofilms, only the combination obtained through the ‘green’ route + TYR demonstrated a synergistic effect against C. albicans. Our results may contribute to the development of oral care products containing AgNPs–CaGP and TYR to combat oral infections. This work was supported by the Coordination for the Improvement of Higher Education Personnel (CAPES, Processes 88881.030445/2013-01 and 88887.068358/2014-00) and the São Paulo Research Foundation (FAPESP, process 2015/00825-5).